Saving money on a new Smart in Miami, FL is simple. The first step is to research the Car model of interest and identify any other vehicle of interest. You’ll receive Car price quotes from Miami, FL Car dealers. Simply compare prices to find the best Car prices in Miami, FL. 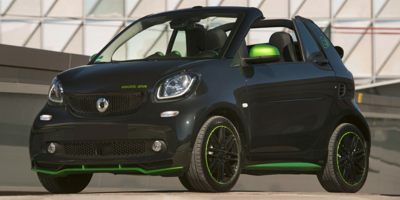 While the smart fortwo is still powered by a tiny 1.0L 3-cylinder engine, power has risen by a noticeable 19hp over the previous generation thanks to the addition of a turbocharger. The powerplant's 89 horsepower may not sound like much, but it's enough to make the little 1980-lb smart fortwo zip through traffic. The increased power also makes the occasional trip onto the freeway a much less harrowing experience than in years past. The engine sits over the rear wheels and underneath the trunk, where it sends power to those rear wheels via either a 5-speed manual transmission or a 6-speed dual clutch gearbox. The smart fortwo comes in four different trims, Pure, Passion, Prime and Proxy, each one offering a few more features and amenities than the previous one. The base smart fortwo Pure comes standard with 15-inch rims, a color, digital instrument display, LED daytime running lights, Bluetooth connectivity, automatic climate control, cruise control and power windows. The Passion trim adds a bit more style with a range of interior color options and a leather wrapped steering wheel. The driver's seat is height adjustable, while the mirrors are powered and heated for cold mornings. While the Passion also rides on 15-inch wheels, it gets a fun and stylish rim design unique to the trim level. The Prime trim gets a little taste of luxury, with a panoramic sunroof that takes up nearly the entire roof and black leather upholstery. The Prime also comes with heated seats, nicer interior lighting, fog lamps and a rain and light sensor. The top of the line Proxy trim comes with a JBL stereo, alloy pedals, chrome exhaust tips and a lowered suspension riding on 16-inch alloy wheels. A unique blue and white interior looks sharp and fun. Options on the fortwo include a cellphone cradle, a proximity warning function, rear parking assist and an armrest. With such a small footprint, safety was a concern for the fortwo and its designers have responded with several innovative safety features. The smart features a patented Tridion Safety Cell made from high-strength steel, while spot welded reinforcements in the doors help buffer against side impacts. 8 airbags are included as standard as is traction control and stability control. A crosswind assist feature is also standard, which helps to stabilize the little fortwo in windy situations. 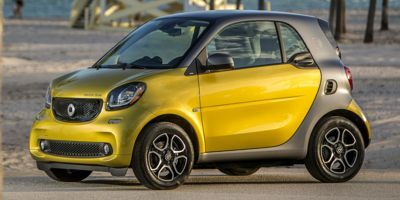 The smart fortwo electric drive continues to be available for 2016, but instead of getting a refresh like the conventional fortwo, it carries over on the 2015 platform and did not get the redesign that its gasoline-powered sibling received. It's driven by a lithium ion battery an electric motor. Together, the system produces 74 horsepower and 96 lb-feet of torque. The EPA rates the fortwo EV at 107 combined MPG-equivalent. It takes 6 hours to charge the battery using the 240V charger. Mercedes anticipates releasing a redesigned fortwo EV for 2017. Compare Miami, FL Smart prices. Get free price quotes for any Smart in Miami, FL. See the invoice price, MSRP price, and clearance prices for all vehicles. Save big when Miami, FL Smart dealerships compete on price. Compare Smart prices, pictures, reviews, local rebates and incentives, and more. View all used vehicles for sale in Miami, FL. Compare used Smart vehicles and get the best deal in Miami, FL. See prices, pictures, vehicle specs and everything you need to get the best deal on a used Smart. Bad credit auto loans and good credit auto loans for a new or used Smart in Miami, FL. Compare current auto financing rates and get approved before you go to the dealership. We can get financing for nearly all new or used Smart buyers in Miami, FL. Get a free auto loan quote today. Compare auto insurance rates from top lenders. Get the lowest monthly payment on a new or used Smart in Miami, FL. With free Smart insurance quotes, you can save money regardless of driving history.